4. Concealed assembly. LED lights are behind the rear mirror. 8. Water repellent. Special treatment on the repels the water. Maintains mirror clarity. 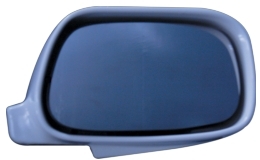 With high quality double tape in the back, this model can be glued directly onto the original rear mirror. 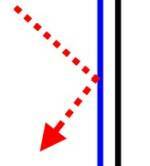 Total mirror thickness is 5 mm. 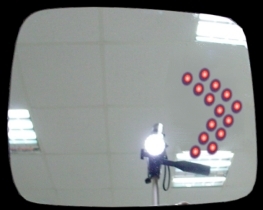 The lights are connected through a 2 stage-connector and high quality Flexible Flat Cables (FFC). 1. 1 pair of high quality mirrors (complete with double foam tape ) . 2. 1 set (2 pieces) of 14 LED super bright LED light. 3. 1 set (4 pieces) Mid -WAY WIRE CONNECTOR. 1. 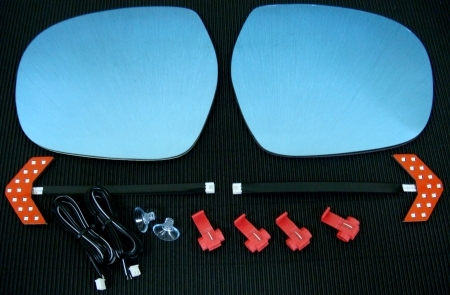 1 pair of high quality LED mirrors (complete with mirror housing and LED inside ) . 2. 14 LED super bright LED. 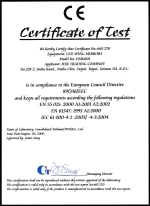 Good resistance to solvent, chemical UV and heat. Flexible yet think foam tape compensates contour surface to improve product appearance. it looks just like a regular mirror. For night driving, lights from the vehicle in the rear reflected in the rearview mirror is very dangerous to the drivers, especially, when one tries to change lanes. 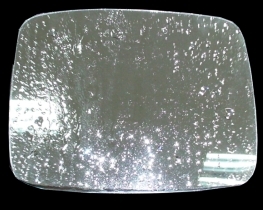 Our LED rearview mirrors are treated with special anti-glare optical process to effectively diffuse the light from the rear vehicle. The feature alone can reduce the safety concerns of drivers caused by the glare from the lights from the rear. A necessary feature for driving in the rain. 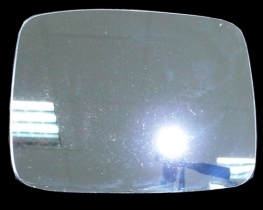 It provides clearer vision for the driver and ensures the driving safety. 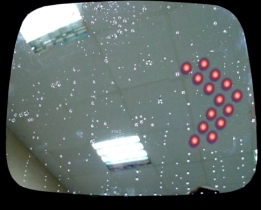 Our LED mirrors are treated with water repellant. The treatment is an integral part of the production process. 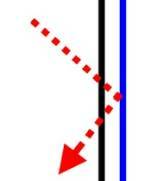 It is not a post-production process which can only provide short-term effect.